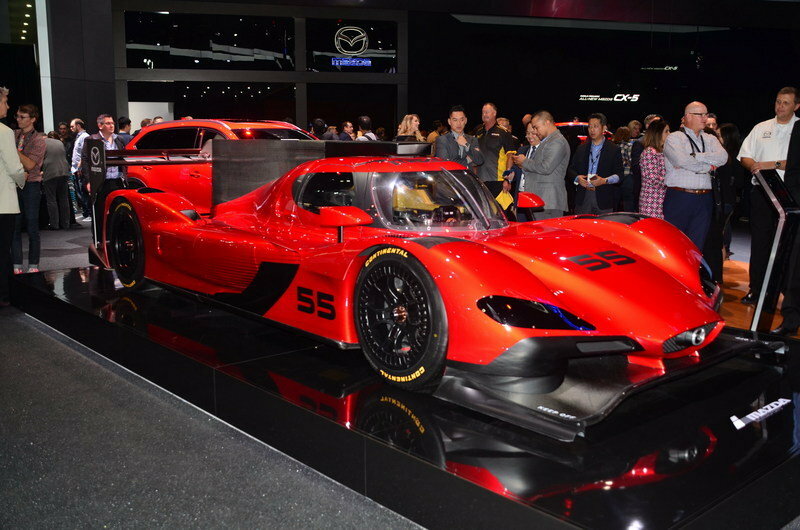 After a few seasons of racing gasoline-powered prototypes in North America, Mazda switched to a diesel engine based on the 2.2-liter SkyActiv-D unit found in its production cars. That didn’t go very well, so the automaker returned to the 2.0-liter gasoline four-pot in 2016, when it continued with the same Lola chassis. With IMSA Prototype class rules revised for 2017, Mazda ditched the old Lola underpinnings in favor of a Riley chassis and redesigned the bodywork of its race car. With rules now more permissive as far as designs go, Mazda came up with a race car that uses many of the Kodo styling cues seen on the company’s production cars. 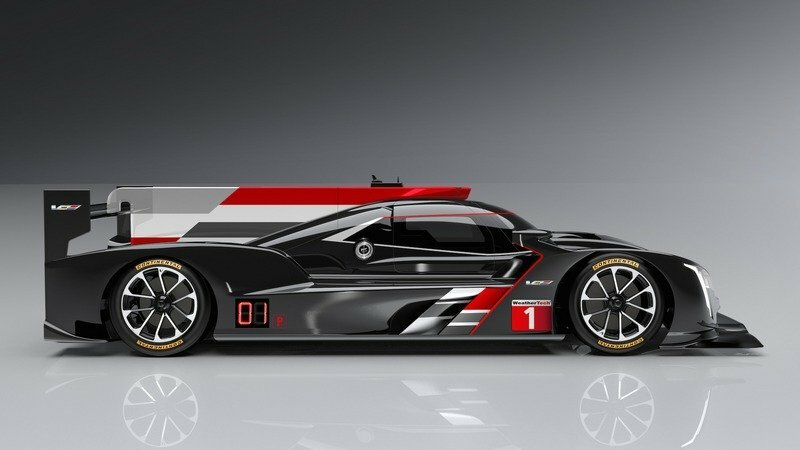 The new race car will compete in the new DPi class of the IMSA WeatherTech SportsCar Championship. The category replaces last year’s Prototype class and introduces revised regulations to the series. The new Riley chassis was designed and built by Multimatic, while the engine was carried over from last year’s race car. 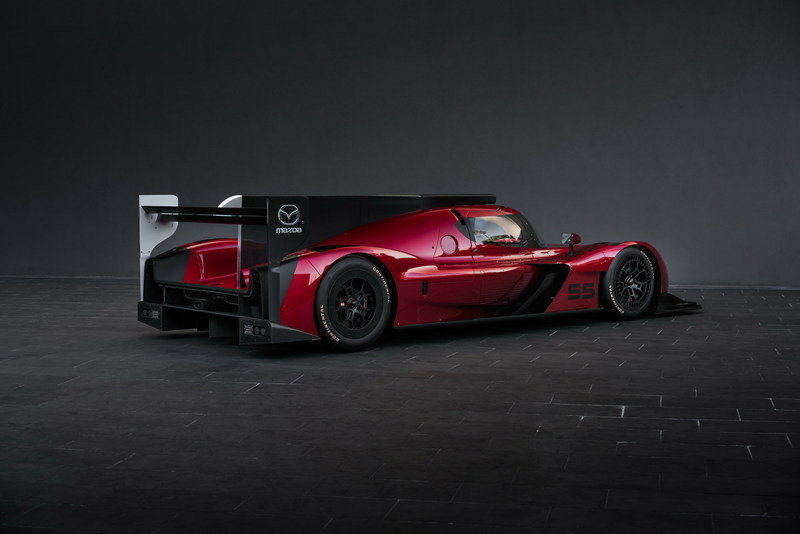 Mazda Motorsports will tackle the 2017 season with two vehicles. Car No. 55 will be driven by Jonathan Bomarito and Tristan Nunez, while car No. 77 will be piloted by Joel Miller and Tom Long. The season will commence in Daytona on January 28, while the final race will take place in Georgia on October 7. 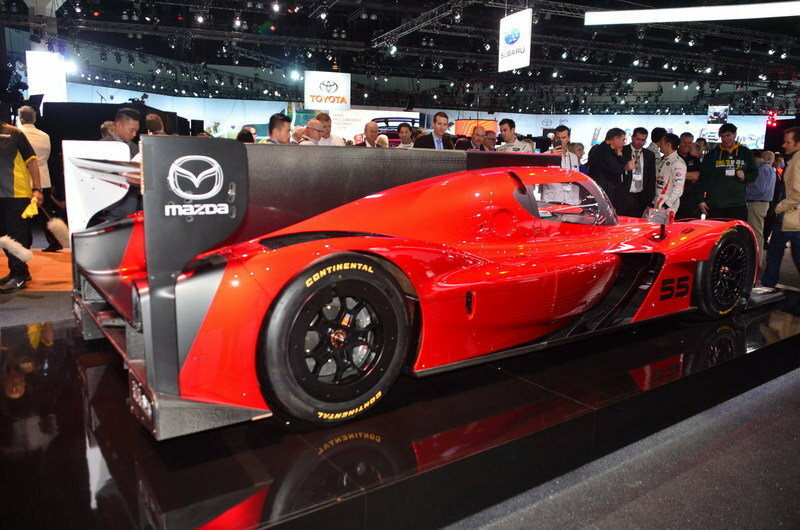 Continue reading to learn more about the Mazda RT24-P. 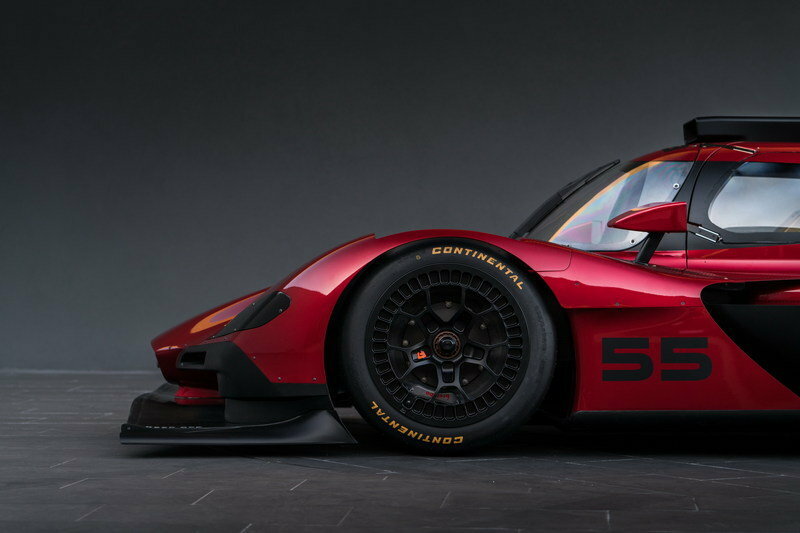 The exterior design is what makes Mazda’s new race car special. Unlike the outgoing model, the RT24-P is heavily inspired by the company’s Kodo design, especially from the side mirrors toward the nose. The front fascia is highlighted by the familiar five-point grille wearing the same "Mazda" logo as the production cars, while the headlamps are significantly thinner and slightly swept-back, also very similar to the road-going models such as the new CX-5 crossover. The RT24-P also sports very aggressive wide side pods with massive intakes under the butterfly-type doors. Unlike the outgoing model, the RT24-P is heavily inspired by the company’s Kodo design. 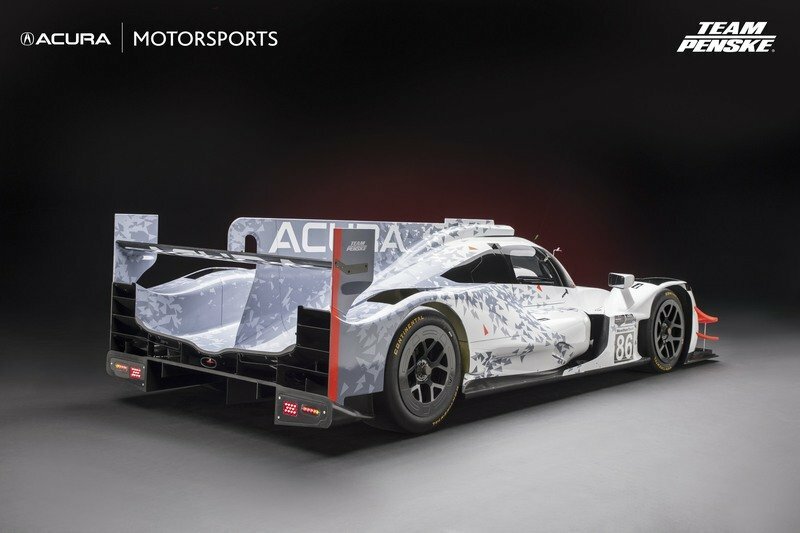 Around back, the RT24-P is not that radical compared to last year’s race car, being similar to other LMP-type prototypes, Highlights include a big fin that stretches from the tip of the roof all the way back toward the rear wing. The wing itself has a rather simple design, but the P-shaped struts that make direct contact with the rear diffuser at the bottom of the rear fenders give it a menacing look. Not surprisingly, Mazda selected a flashy red color based on the production Soul Red for the presentation model. 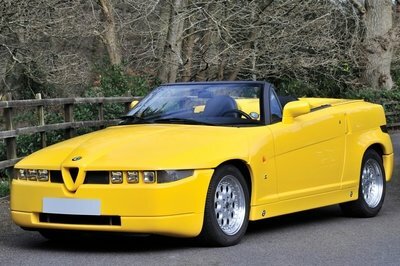 Mazda isn’t the only carmaker that joined the series with a design based on its road-going models. 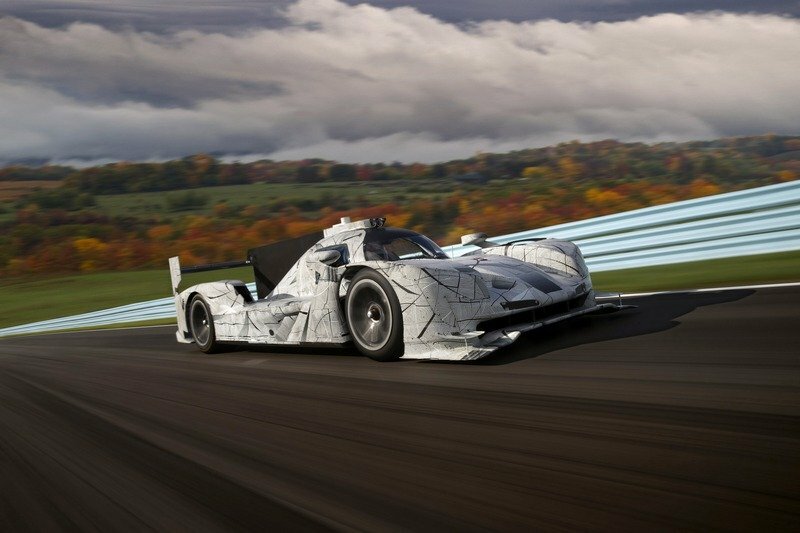 Cadillac, which returned to prototype racing after 14 years, did the same with the DPi-V.R. Although the similarities aren’t as noticeable as on the Mazda, the DPi-V.R features headlamps inspired by the CT6 sedan, a big Cadillac crest on the nose, and V-Performance, double-five-spoke wheels based on those available on the ATS-V and CTS-V. The RT24-P is arguably the better looking car here, but the Caddy is a great addition to the 2017 IMSA series as far as production model-inspired prototypes go. The cabin shouldn't be a lot different than the outgoing race car. As it is the case with most prototype race cars, Mazda did not release photos of the RT24-P’s interior. 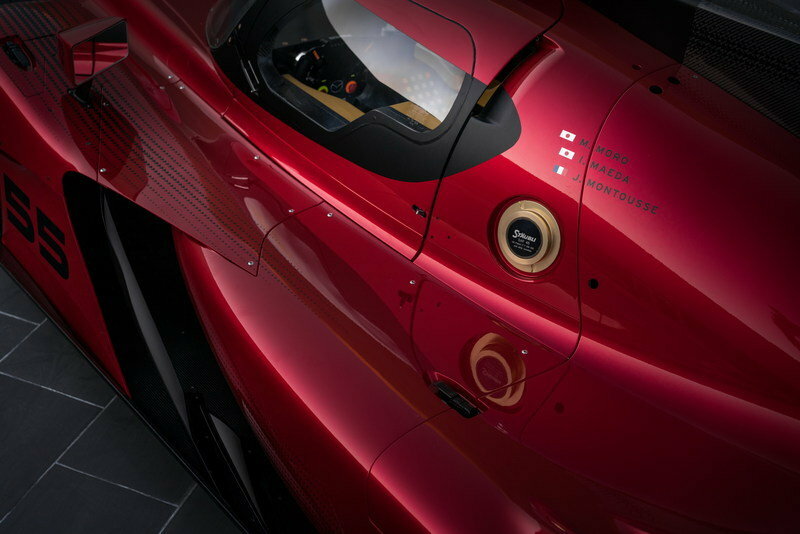 There is a photo of the driver-side door through which we can see a tiny bit of the cockpit, but nothing beyond the multi-function steering wheel packed with buttons and some cream-painted elements (rather unusual given that most race cars have all-black interiors). Other than that, the cabin shouldn’t be a lot different than the outgoing race car. The dashboard should be simple and devoid of any car-like elements save for the instrument cluster, which should have a much simpler display. 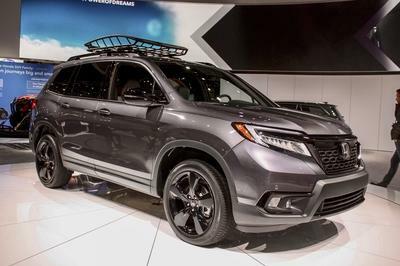 Other highlights should include an aggressively bolstered driver’s seat, lightweight door panels, and a stripped out floor. The RT24-P is powered by the same MZ-2.0T engine used in last year's prototype. 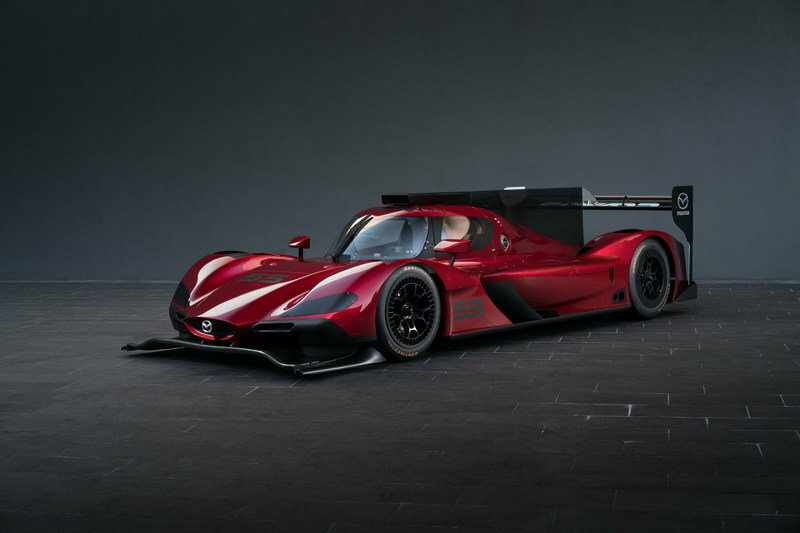 The RT24-P is powered by the same MZ-2.0T engine used in last year’s Mazda Prototype racer. 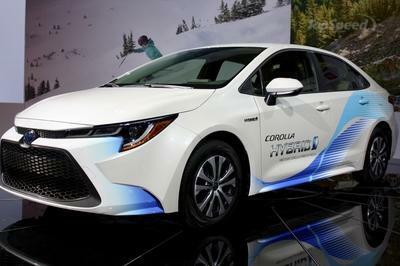 Developed in collaboration with Advanced Engine Research (AER), the turbocharged, 2.0-liter four-cylinder engine is good for "approximately 600 horsepower." Mazda has nothing else to say about the engine so it’s safe to assume it is actually identical to the one it used in 2016. Some revisions are likely, but they’re probably too minor to mention. While the engine is the same, the chassis is new. Developed by Riley Technologies and Multimatic, Mazda’s racing partners for IMSA since 2014, the Riley Mk. 30 underpinnings include some of the latest technologies for prototype racing and should be lighter than last year’s frame. The Mazda RT24-P competes in the new DPi class that replaces 2016’s Prototype category in the IMSA WeatherTech SportsCar Championship. Mazda Motorsports battled for glory in the first year with eight other teams using various designs. Competitors include Nissan-powered Ligier JS P217 cars run by PR1/Mathiasen Motorsports and Tequila Patron ESM and Gibson-powered Riley Mk.30 prototypes driven by JDC-Miller Motorsports and Starworks Motorsports. Action Express Racing, which previously raced Corvette DPs, and Wayne Taylor Racing is using Cadillac-powered Dallara LMP2s. Finally, JDC-Miller Motorsports joined the series with a Gibson-powered Oreca 07. 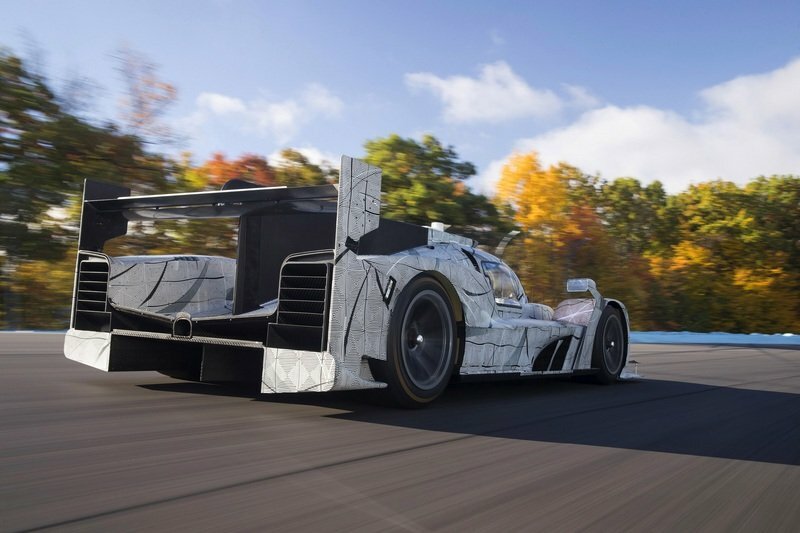 The DPi-V.R was the latest vehicle to join the 2017 IMSA prototype category and marked Cadillac’s return to top-level racing since the Northstar LMP was discontinued in 2002. Developed with input from Dallara, the DPi-V.R is motivated by the largest engine in the series, a naturally aspirated, 6.2-liter V-8. The mill is based on the production unit available in many General Motors cars, but was prepared with help from ECR Engines. Cadillac joined the 2017 IMSA series with three cars, two run by Action Express Racing and one by Wayne Taylor Racing. The No. 5 car of Action Express is driven by Joao Barbosa and Christian Fittipaldi, while the No. 31 vehicle is handled by Dane Cameron and Eric Curran. Wayne Taylor Racing’s No. 10 is driven by Jordan Taylor, Ricky Taylor, and Max Angelelli, but former NASCAR star Jeff Gordon also joined in for the first race of the season. After seven out of 10 races, Cadillac is by far the strongest race car, being very close to winning both the drivers’ and manufacturers’ championship. The ARX-05 has yet to make its debut in the IMSA series, but it will join the championship starting 2018. 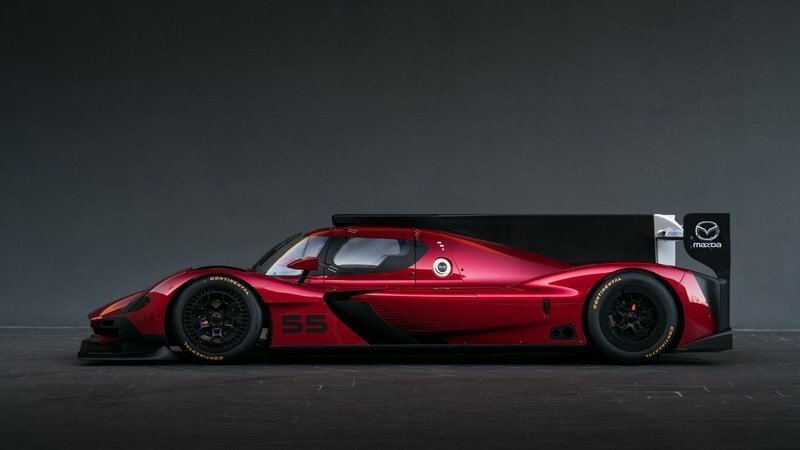 Also designed as a typical Le Mans prototype with a unique front end loosely based on Acura’s current production models, the ARX-05 gets its juice from a twin-turbo, 3.5-liter V-6 based on the production unit found in the MDX, RDX, TLX, and RLX road cars. Called the AR35TT, this unit has powered class winners at the 12 Hours of Sebring between 2011 and 2014 and the LMP2 World Endurance Championship in 2012. Versions of this engine also powered entries to American Le Mans Series LMP2 titles in 2012 and 2013 and the overall winners at the Rolex 24, 12 Hours of Sebring, and Petit Le Mans in 2016. If these facts are any indication, the ARX-05 should be Cadillac’s biggest challenger in 2018. 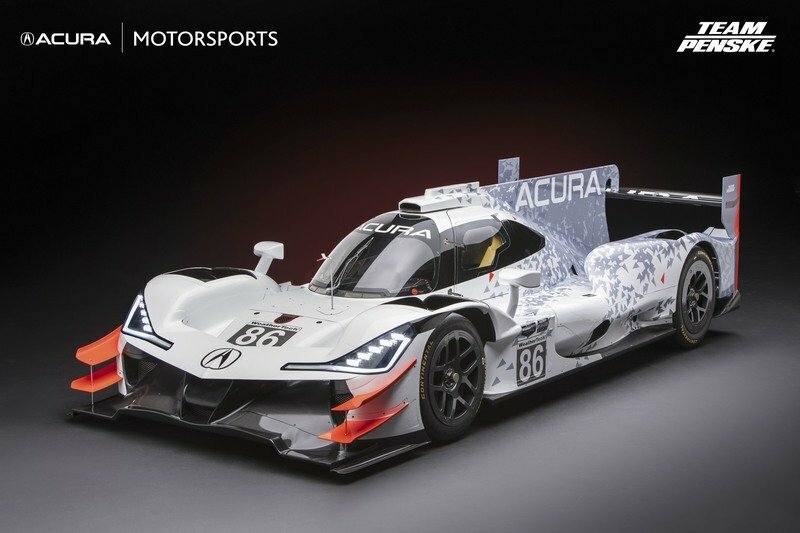 Read our full review on the Acura ARX-05 DPi. Needless to say, the RT24-P looks unique and incredibly cool for a race car, which are usually designed to be aerodynamic not good looking, but a good looking racer must also score good results in order to leave a mark on any given race track. 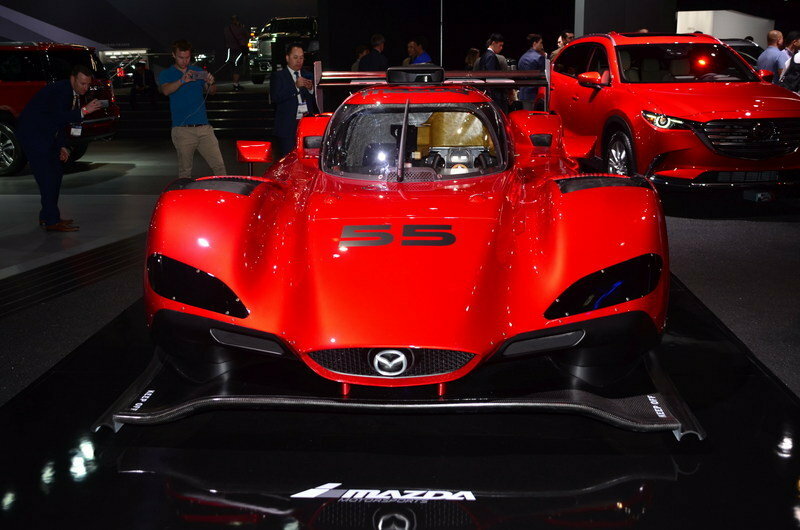 Unfortunately, despite the better chassis designed by Riley and Multimatic, the engine that has already proven to be reliable, and revised aerodynamics, Mazda struggled to keep up not only with leader from Cadillac, but also Nissan. Granted, it will finish third in the championship, which is an improvement compared to 2016, but Mazda Motorsport has a lot of work to do before it can challenge Cadillac and newcomers Acura.